КИСЛОРОД В ИНТЕНСИВНОЙ ТЕРАПИИ И АНЕСТЕЗИОЛОГИИ – ДРУГ ИЛИ ВРАГ? Кислород является важным компонентом терапии критических состояний, однако его избыточное поступление может вызывать ряд неблагоприятных последствий. В обзоре описаны преимущества и токсические эффекты кислорода, а также области его применения в интенсивной терапии и анестезиологии. 1. Гераськин В. А. Гипероксия и окислительные модификации липидов крови как факторы развития анемии у новорождённых детей: Дис.. канд. мед. наук: 14.00.16. - Саранск, 2004. - 102 с. 2. Жиляева С. Ю., Алексеева О. С., Постникова Т. Ю. и др. Кооперативное участие оксида азота и эндотелина в гипероксической вазоконстрикции // Рос. физиол. ж. им. И. М.Сеченова. - 2011. - Т. 97.- С. 14-15. 3. Кузьков В. В., Киров М. Ю. Инвазивный мониторинг гемодинамики в интенсивной терапии и анестезиологии: монография. Архангельск: Северный государственный медицинский университет, 2015. - С. 392. 4. Марино П. Л. Интенсивная терапия / пер. с англ., под ред. А. П. Зильбера. - М.: ГЭОТАР-Медиа, 2010. - 768 с. 5. Марочков А. В., Липницкий А. Л., Акулич Н. В. Влияние различных концентраций кислорода, применяемых во время многокомпонентной эндотрахеальной анестезии, на структурно-функциональные параметры эритроцитов // Общ. реаниматол. - 2012. - Т. 7. - С. 11-16. 6. Яковлев Н. В. Влияние гипербарической оксигенации в клинически применяемых режимах на перекисное окисление липидов и антиоксидантную активность лёгких здорового организма: Дис. … канд. мед. наук: 03.00.13. - Курск; 2004. - 127 с. 7. Abdelsalam M. Permissive hypoxemia: is it time to change our approach? // Chest. -2006. - Vol. 129. - P. 210-211. 8. Austin M. A., Wills K. E., Blizzard L. et al. Effect of high flow oxygen on mortality in chronic obstructive pulmonary disease in prehospital setting: randomised controlled trail // BJM. - 2010. - Vol. 341. - P. 54-62. 9. Baleeiro C. E., Wilcoxen S. E., Norris S. B. Sublethal hyperoxia impairs pulmonary innate immunity // J. Immunol. - 2003. - Vol. 171. - P. 955-963. 10. Bellomo R., Bailey M., Eastwood G. M. et al. Arterial hyperoxia in hospital mortality after resuscitation from cardiac arrest // Crit. Care. - 2011. -Vol. 15. - P. 90. 11. Bitterman H. Bench-to-bedside review: oxygen as a drug // Crit. Care. - 2009. - Vol. 13. - P. 205. 12. Cabello J. B., Burls A., Emparanza J. I. Oxygen therapy for acute myocardial infarction. Cochrane Database // Syst. Rev. - 2010. - Vol. 16. - CD007160. 13. Damiani E., Adrario E., Girardis M. еt al. Arterial hyperoxia and mortality in critically ill patients: a systematic review and meta-analysis // Crit. Care. - 2014. - Vol. 18. - P. 711. 14. Davis P. G., Tan A., O’Donnell C. P. et al. Resuscitation of newborn infants with 100% oxygen or air: a systematic review and meta-analysis // Lancet. - 2004. - Vol. 364. - P. 1329-1333. 15. Deakin C. D., Nolan J. P., Soar J. et al. European Resuscitation Council Guidelines for Resuscitation 2010 Section 4. Adult advanced life support // Resuscitation. - 2010. - Vol. 81. - P. 1305-1352. 16. Decalmer S., O’Driscoll B. R. Oxygen: friend or foe in peri-operative care? // Anaesthesia. - 2013. - Vol. 68. - P. 8-12. 17. Demchenko I. T., Welty-Wolf K. A., Allen B. W. Similar but not the same: normobaric and hyperbaric pulmonary oxygen toxicity, the role of nitric oxide // Am. J. Physiol. Lung Cell Mol. Phisiol. - 2007. - Vol. 293. - P. 229-238. 18. Eastwood G., Bellomo R., Bailey M. et al. Arterial oxygen tension and mortality in mechanically ventilated patient // Crit. Care. - 2012. -Vol. 38. - P. 91-98. 19. Edmark L., Enlund M., Kostova-Aherdan K. et al. Atelectasis formation and apnoea tolerance after pre-oxygenation with 100%, 80%, or 60% oxygen // Anesthesiology. - 2001. - Vol. 95. - Р. A1330. 20. Gregory A. H., Thierry M. S., Maurice L. L. еt al. Ventilatory management during routine general anaesthesia // Eur. J. Anaesth. - 2009. - Vol. 26. - P. 1-8. 21. Grocott M. P., Martin D. S., Levett D. Z. et al. Arterial blood gases and oxygen content in climbers on Mount Everest // N. Engl. J. Med. - 2009. - Vol. 360. - P. 140-149. 22. Halliwel B., Gutteridge J. M. Oxygen toxicity, oxygen radicals, transition metals and disease // Biochem J. - 1984. - Vol. 219. - P. 1-14. 23. Haque W. A., Boehmer J., Clemson B. S. at al. Hemodynamic effects of supplemental oxygen administration in congestive heart failure // J. Am. Coll. Cardio. - 1996. - Vol. 27. - P. 353-357. 24. Harten W. A., Anderson K. J., Booth M. G. et al. The effect of normobaric hyperoxia on cardiac index in healthy awake volunteers // Anaesthesia. - 2003. - Vol. 58. - P. 885-888. 25. Hazelton J. L., Balan I., Elmer G. I. еt al. Hyperoxic reperfusion after global cerebral ischemia promotes inflammation and long-term hippocampal neuronal death // J. Neurotrauma. - 2010. - Vol. 27. - P. 753-762. 26. Hedenstierna G., Edmark L., Aherdan K. K. Time to reconsider the preoxygenation during induction of anaesthesia // Minerva Anestesiol. - 2000. - Vol. 66. - P. 293-296. 27. Jauch E. C., Saver J. L., Adams H. P. Guidelines for the early management of patients with acute ischemic stroke: a guideline for healthcare professionals from the American Heart Association/American Stroke Association // Stroke. - 2013. - Vol. 44. - P. 870-947. 28. Kilgannon J. H., Jones A. E., Shapiro N. I. et al. Association between arterial Hyperoxia following resuscitation from cardiac arrest and in-hospital mortality // J. Am. Med. Assoc. - 2010. - Vol. 303. - P. 2165-2171. 29. Le Roux P. Normoxia and Hyperoxia in Neuroprotection // Yearbook Int. Care Med. - 2014. - P. 449-461. 30. Le Roux P. Physiological monitoring of the severe traumatic brain injury patient in the intensive care unit // Curr. Neurol. Neurosci. Rep. - 2013. - Vol. 13. - P. 331. 31. Martin D. S., Grocott M. P. W. Oxygen Therapy in Anaesthesia // Br. J. Anaesth. - 2013. - Vol. 111. - P. 867-887. 32. 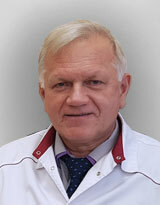 Meyhoff C. S., Staehr A. K., Rasmussen L. S. Rational use of oxygen in medical disease and anaesthesia // Curr. Opin. Anaesthesiol. - 2012. - Vol. 25. - P. 363-370. 33. Meyhoff C. S., Wetterslev J., Jorgensen L. N. еt al. Effects of high perioperative oxygen fraction in surgical site infection and pulmonary complication after abdominal surgery: the PROXI randomized clinical trail // JAMA. - 2009. - Vol. 302. - P. 1543-1550. 34. Mikkelsen M. E., Christie J. D., Hopkins R. O. et al. Can we optimize long-term outcome in acute respiratory distress syndrome by targeting normoxemia? // Ann. Am. Thorac. Soc. - 2014. - Vol. 11. - P. 1449-1153. 35. Niklas A., Brock D., Schober R. et al. Continuous measurement of cerebral tissue oxygen pressure during hyperbaric oxygenation-HBO effects on brain edema and necrosis after severe brain trauma in rabbits // J. Neurol. Sci. - 2004. - Vol. 219. - P. 77-82. 36. O’Driscoll B. R., Howard L. S., Davison A. G. BTS guideline for emergency oxygen use in adult patient // Thorax. - 2008. - Vol. 63. - P. 68. 37. Pileher J., Weatherall M., Shirtcliffe M. et al. The effects of hyperoxia following cardiac arrest. A systematic review and meta-analysis of animal trails // Resuscitation. - 2012. - Vol. 83. - P. 417-422. 38. Rabi Y., Rabi D., Yee W. Room air resuscitation of the depressed newborn: a systematic review and meta-analysis // Resuscitation. - 2007. - Vol. 72. - P. 353-363. 39. Remert M., Schaller B., Widmer H. R. et al. Influence of oxygen therapy on glucose-lactate metabolism after diffuse brain injury // J. Neurosurg. - 2004. - Vol. 101. - P. 323-329. 40. Ronning O. M., Guldvog B. Should stroke victims routinely receive supplemental oxygen? A quasi-randomized controlled trail // Stroke. - 1999. -Vol. 30. - P. 2033-2037. 41. Sjoberg F., Singer M. The medical use of oxygen: a time for critical reappraisal // J. Intern. Med. - 2013. - Vol. 274. - P. 505-528. 42. Sinclair S. E., Altemeier W. A., Matyte-Bello G. at al. Augmented lung injury due to interaction between hyperoxia and mechanical ventelation // Crit. Care Med. - 2004. - Vol. 32. - P. 2496-2501. 43. Sokolova M., Rodionova L., Yurkova O. et al. The effects of perioperative ventilation on cognitive function following laparoscopic cholecystectomy // Eur. J. Anaesth. - 2015. - In print. 44. Stub D., Smith K., Bernard M. et al. A randomized controlled trail of oxygen therapy in myocardial infarction study (AVOID study) // Am. Heart J. - 2012. -Vol. 163. - P. 339-345. 45. Suzuki S., Eastwood G. M., Bellomo R. A. Re-evaluation of oxygen therapy and hyperoxemia in critical care // Yearbook Int. Care Med. - 2014. - P. 81-91. 46. The acute Respiratory Distress Syndrome Network // N. Engl. J. Med. - 2000. - Vol. 342. - P.1301-1308. 47. The C2015 Consensus Conference - access mode: https://volunteer.heart.org/apps/pico/Pages/default.aspx.